Work for Z-Discovery - Legal Hold Pro + Digital Discovery Pro? "Transforming our Legal Hold Process"
I have found Z Discovery to be the best platform for issuing legal holds. It is a quick implementation, virtually no learning curve, easy to use in creating holds, and allows us to quickly craft legal hold notices that are understandable and easy to respond to. Our acceptance rates for legal hold notices have nearly doubled since moving to the Zapproved platform. We have gone from an average time of 10-15 minutes to issue legal holds down to 3-5 minutes per hold. Moving to the cloud-based Zapproved platform also allows our users to accept legal holds with a single click from any computer or mobile device. Having prepared, preapproved templates with language directly from our GC means that I can quickly get out the word on preservation actions (without having to reinvent the wheel and then have the wheel kick-tested each time). I love being able to see my compliance numbers for each of the holds: I can quickly identify who I need to contact to make sure the preservation obligation gets disseminated fully. I've found if there's a little something I dislike, Zapproved's UI/ UX folks are quick to listen and figure out ways of clearing up issues. I ran into the issue of having to play a couple different roles on holds but I wasn't allowed to be both a sender and a custodian on a hold: this is now being resolved. Compliance, transparency, defensibility, and repeatability are the biggest issues LHP solves for us. We have a much higher compliance rate, a better understanding across the company about what legal holds are, and the time savings has been amazing. "Zapproved LHP is a simple tool for both senders and custodians to manage and respond to Legal Holds." You can always count on the Account and Customer Service teams to respond when you have an issue. They always have a listening ear for problems and suggestions for improvement. I have used other products with more robust features. Zapproved is a fairly straight forward program, so if you are looking for all the bells and whistles this may not be for you. I would highly recommend it for its ease of use and custodian interface. We have increased our custodians acceptance rates from the moment we launch it. Our custodians have not complained and find it easy to use. Time savings for discovery requests and ease of implementing holds. Great product - but make sure your company really needs it - it is really useful if you have a large risk profile and requires a lot of hold and discovery work. A bit overkill if you use it for regular maintenance of holds, etc. Z-Discovery helped us solve need to quickly and accurately place hold and perform discovery. The applications are easy to use and powerful and we have used it for additional business processes as well. "Approach to legal hold that enables users to understand their obligations." Ability to integrate with other platforms. Zapproved staff always listening to their customers to make the platform better and implementing changes routinely to enhance the functionality. Ease of use for custodians and administrators. Reporting. We do not have much expertise in running ad-hoc reporting and we believe there can be some additional can reports available based on the data points we provide. Ease of use. Zapproved commitment to listen to the community and make changes that benefit the users. Ability to integrate into several different platforms. Almost 100% compliance on acknowledgment of legal holds! Our previous system was too cumbersome for custodians. We really like the auditing feature and the ability, if needed, to take information into court with regard to following our obligations. 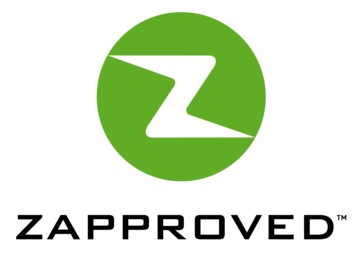 "My Zapproved experience has been phenomenal -- fun and professional conference!" I like the ice breaker portion of the program wherein we get to engage with other professionals and users; brainstorming and collaborating with the Zapproved team over the hands-on experience with the software. I dislike that there were a few attendees and the time seemed to cut short. It would be a more worthwhile experience if we had more participants who could have attended the conference. I would highly recommend others to consider using Z-Discovery - Legal Hold Pro + Digital Pro. With the current software our company use, it has given us glitches throughout the process of hold creation, issue of hold and collection of data. The efficiency in workflow has been difficult with the current software. Benefit/s I have realized that with using Zapproved software Z-Discovery - Legal Hold Pro + Digital Discovery Pro provides efficient, user friendly, and up to date experience to us users. "Legalholdpro has contributed tremendously to optimize efficiencies in our corporate legal hold proce"
LHP provides our company with one repository where all legal holds are stored (no more PDFs sent out across business unit's by one paralegal or attorney at a time). In addition, the automatic reminders are tantamount to meeting ongoing preservation obligations. Further, the ability to have legal hold templates makes issuing a legal hold straightforward and hassle-free. Finally, the reporting feature allows us to determine quickly any of a number of important data points, including whether a given employee is on a hold(s), and how many; number of holds by attorney/paralegal/business unit, etc. Because there is no redlining capability in LHP, it is easier to start a draft in MS Word, forward to attorney for comments and edits, and then copy/paste into LHP. The problem is that LHP is not a MS Word product and when you copy/paste to it, indents, bullets, numbers and other formatting is a complete disaster and not easily fixed. I would love to see Word compatibility, some kind of redlining option for exchange of drafts among a legal team. Automates the legal hold process to allow for efficient initiation of legal holds (revise one of the hold templates for a particular matter and add email addresses for the hold recipients), automatic tracking of custodian responses to the holds, automatically generated hold reminders to custodians at set time intervals, and easy one touch termination of holds at the conclusion of matters. At times it is difficult to remain below our allotted number of custodians to avoid overage charges, though the overage charges are not a significant cost and Zapproved alerts us ahead of time if we are in danger of exceeding our negotiated number of custodians. Attorneys and paralegals spend far less time on legal holds compared to before we had this product. Automatic tracking of responses and automatically generated reminders, etc. make it easier to document the hold process and make it more defensible if challenged in court. "Great product from a great company"
It's clean and easy to use, very user-friendly. It keeps track of and allows reporting on numerous different things. Most of the things that I've disliked have been improved (i.e. email addresses are no longer the only identifier for custodians). Some products in the suite are still fairly new products, which come with kinks that need to be worked out, but after watching improvements in LHP, I have no doubt that the entire suite will become ideal products for all companies. Many of our employees have a difficult time using other products that appear "messy," Z-Discovery is a more simple approach that is easier for many to understand and use. "Managing our legal hold efficiently"
Prior to implementing the Z-Discovery system our process for managing our legal holds was very much a manual process. We now are able to more efficiently manage our legal holds and releases. It's made a difference in managing this task. This is difficult to answer as the only thing I have to compare this system to is our manual process. Which there is no comparison to. The Z-Discovery system has made a huge difference in managing our legal holds and releases. Z-Discovery is a very user friendly system. Managing legal holds and releases. Some of the benefits gained is that it takes less time and we now send out reminders of the hold throughout the litigation process. We didn't do this prior to the Z-Discovery system. "Legal Hold Pro changed my life!" The ease of use, the reporting functionality and most of all the company's customer service is second to none. My company started out tracking legal holds using spreadsheets and cutom built in house apps. It worked for the awhile but we always desired something more. When Zapproved came along with Legal Hold Pro, our requests were answered and thne some! After using this product for the last 3 years, my team and I have not found any shortcomings with this company and its products. Legal Hold notice tracking, reminder notices, monthly reporting for active holds, ability to allow GC to approve on the fly. "My review of Legal Hold Pro." The system is streamlined and intuitive. It lets me quickly see response rates and send automatic reminders. The templates and reporting features make my job easier. If there are any questions or concerns the Z-Team listens and finds a solution. They are always updating and improving the tool. I currently have no issues with this product. The product is easy to use and the Z-team is professional and friendly. The annual User Group is a terrific experience. Our old inefficient, manual way of maintaining legal holds is now an automatic, repeatable, reliable, and reportable process that allows us to save time and money. "Very informative and helpful. No sales pitch." The representatives from Zapproved are very knowledgeable and professional. They came prepared and were able to answere all questions. Very informative. The introduction to updates and new tools are very exciting. I have no dislikes at the moment. We have yet to fully integrate with the HR and IT systems. This is my issue that I need to work on internally. I will have more of an opinion once we are fully implemented and "live". From the user group meeting, I doubt I will. After the user group meeting, I have made it priority to integrate ASAP, so that I may look into other tools/applications Zapproved offers. User friendly. Great support. No hassle. Their tools integrate with many platforms that we use. I'm excited to go live. No doubt this will help me be more efficient in my day to day management and work load. I recently attended a user group where they outlined their vision/path for 2017. I'm super excited at the direction they are headed. Looking forward to updates and new rollouts. We have been able to centralize and manage our Legal Holds. This has reduced a significant part of my time to focus elsewhere. "Fairly easy to implement and support"
Implementation of this technology went well and was fast. The tool is intuitive and does what we need it to do. Users seem to be satisfied with the tool. Nothing yet... It is working as expected and running without much maintenance and support required. The implementation took a little longer than expected and Zapproved switch the PM in the middle of the implementation, however, that was not much of a holdup. The tool is easily implemented and easy to use. The user base finds the tool very intuitive and in the way of support, not much is required. Used by external counsel and the litigation team to initiate legal holds on mail files. It is leveraged by a small handful of users at the moment and from my understanding, a few more may be added to the list. "Inspires confidence in the process"
The system is very intuitive and easy to use, inspiring confidence in the attorneys and paralegals who use it to issue and manage our legal holds. The simplicity of the technology makes it easy to describe and defend our processes, report on status and issue holds in a timely manner. Nothing. The system works as expected. Managing legal holds with email and spreadsheets is no longer a viable option (if it ever really was). With Legal Hold Pro we are able to engage the entire team in the process, achieving a high rate compliance from legal and custodian users alike. "Upgrading to Legal Hold Pro from Clearwell"
The ability to track and acknowledge legal holds from any device has made a huge difference in compliance. Customization of the legal hold, including templates and company logo has also driven up compliance rates. Would like to have some more customized options such as better search ability within Contacts and generation of reports. The Cloud Preserve module will save companies a lot of time by automatically placing the O365 account on hold instead of manually going in and running powershell or searching for the account in the UI. Compliance of legal holds and the time it takes to send out legal holds. "Extremely Efficient Legal Hold Tool"
Prior to implementing Legal Hold Pro, legal holds were issued and tracked manually. The process was daunting and time-consuming. With the use of Legal Hold Pro, our legal hold issuance and tracking process is virtually automated. Legal holds are easily created and issued electronically. Responses are tracked by the system and reminders are sent out automatically. The process is now seamless and extremely efficient. The integration with our companies contacts is not ideal. We were unable to use the standard API integration, so the process is manual. Tracking of our legal holds has become extremely efficient and easy to manage. "Z-Discovery is intuitive and impactful." The fact it keeps track of responses to lit holds for me! I'm not sure there is anything - everything seems to work pretty well. I highly recommend attending a Zapproved customer conference, as it helps you understand how others are using the product, as well as new ways you might implement its many features. Several cases needing litigation holds have been handled with great ease by Zapproved, as compared to our old system of tracking with unwieldy spreadsheets. I used Zapproved's Legal Hold Pro to manage litigation holds. This tool is user friendly and has many great features that work well for me and my organization. We strongly value the option to remind custodians that their responses have not been received as well as the quarterly updates that a particular hold is still in place. There are features I would like to see that LHP doesn't have as yet. However, Zapproved is constantly updating and improving the tool. I don't like that when a user edits a hold the sender is automatically changed to the person that made the edit. Definitely recommend. Our transition to this software was smooth and both users and recipients love it. In particular, recipients like that they can see all of their litigation holds in one place. I really like that they are always improving Legal Hold Pro, making a better and easier system to use. I would like to be able to generate more customizable reports. Since we started using Legal Hold Pro, we have had more control over our legal holds and it has been really easy to manage holds being sent and released. "One of my favorite vendors"
The customer support is first rate and their products are very easy to use. Large ingestions into DDP can sometimes time out. They have reduce our eDiscovery costs by allowing us to bring more review internally instead of sending to outside counsel. Template creation makes it easy for anyone to send out notices. Organized UI simplifies the tracking process and the need to send to reminders. Ease of tracking litigation holds has been a godsend. "Easy to use tool for litigation holds and other important communications"
Easy to use. Flexible interface to allow for customer notices and acknowledgements. It would be beneficial if custodians could reply with documents through the interface. Besides managing litigation holds, we use the system to keep track of restricted NDA’s with our customers. I would like to be able to customize my reports more. Reporting capabilities are what I utilize the most. Not much to dislike. I get the user support I need and the reports are on time. Very good support, reports arrive on time. "Overall I am very pleased." I like that it automatically sends out reminders. I am not happy we cannot automatically upload our address list. Unfortunately it may be our network system. I know we are compliant. Z-Discovery has streamlined our E-discovery and has made our legal department's work more efficient and effective. I did not like the update from Axcelerate to Legal Hold Pro. I wish there were explanations for the changes and that more input from customers was asked. I am solving legal hold/discovery issues. I have benefited from z-discovery because it makes keeping track of custodians easier. "Z-Discovery Software Suite for In-House First Level Review"
The software is incredibly user-friendly and intuitive. Limited functionality in terms of larger scale projects - which is fine since we purchased it to manage first level review in house. Cost savings! Being able to vet the data before sending to outside counsel save a lot in fees. In addition, the Legal Hold Pro results in significant time savings. Legal Hold Pro is a great tool based on it's simplicity and ease of use. It currently does not offer opportunities for customization based on each companies needs, but that should be coming in the future. The largest benefit is it's simplicity. It makes training and functionality a breeze. "My experience was very informative and enlightening." I like the tool itself as it's exactly what we need and the welcome feedback from Zapproved for continued growth. I haven't been using the product long enough to have dislikes. I don't like that we are on different time zones. "Solid LHO Management Process, Limited Reporting"
Limited customization in reporting and inability to access raw data reports. Automation of legal hold process and tracking. Substantial reduction in manual effort in the LHO process. Learning about Z-Discovery - Legal Hold Pro + Digital Discovery Pro? * We monitor all Z-Discovery - Legal Hold Pro + Digital Discovery Pro reviews to prevent fraudulent reviews and keep review quality high. We do not post reviews by company employees or direct competitors. Validated reviews require the user to submit a screenshot of the product containing their user ID, in order to verify a user is an actual user of the product. Hi there! Are you looking to implement a solution like Z-Discovery?